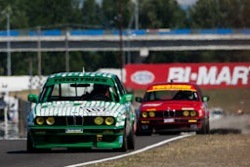 Jeffrey Dahl’s gallery of the 2010 SOVREN Columbia River Classic at Portland International Raceway. Bob Pengraph’s gallery of images from the 2010 Portland Historic Races at Portland International Raceway, Portland, OR on Jul 9-11, 2010. 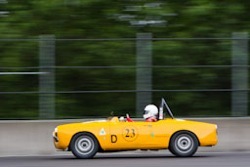 Jeffrey Dahl’s gallery of the 2010 HMSA Portland Historic Races. 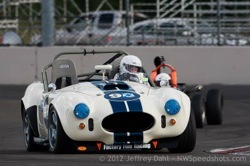 The event was held on July 9-11 at portland International Raceway in Portland, OR. Bob Pengraph’s gallery of images from the 2009 Portland Chumpcar Event help at Portland International Raceway on Oct 31 – Nov 1, 2009. Welcome to ChumpCar’s Inaugural Event in Portland, OR – ChumpCar is the home for $500 race cars and 24 hour endurance road racing. This series is for gear-heads; for people who love driving and driving fast. It’s for grassroots race teams and almost-race-ready cars. ChumpCar is a throw-back to the era when racing was fun and cheap… when Bondo beat carbon-fiber; when a crescent wrench was the most valuable tool in your box; when home-made engineering made everyone sit up and take notice; and when adding a little theme to your car didn’t get you laughed out of the pit. Those were good times… and they’re back. Bob Pengraph’s gallery of the 2009 Columbia River Classic on Sep 5-7, 2009 at Portland International Raceway. The weather is sunny hot as SOVREN takes to the road in this midseason event of the racing year at the Portland Intl. Raceway. 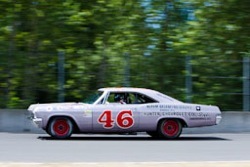 This event, the Columbia River Classic Road Race is an annual event with approximately 150 pre-1970 racecars that have been restored to mint condition. With its challenging course, the infamous festival turn on the straight and open layout, viewing is a real treat as the entire course is visible. Spectators will have the chance to view a variety of rare cars from the past including Porsches, Lotuses, Alfa Romeos, Corvettes, Austin Healeys and many more. This race is held in conjunction with the largest West Coast All British Field Meet, with tons of British vehicles in attendance, a swap meet, a Range Rover demonstration, and a slalom. Jeffrey Dahl’s gallery of the 2009 SOVREN Columbia River Classic. The event was held on September 4-6, 2009 at Portland International Raceway in Portland, OR. Bob Pengraph’s gallery of the Portland Historic Races on Jul 10-12, 2009. 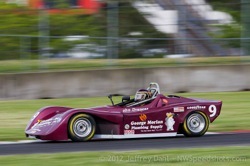 On the heels of a successful 2008 event, the Baxter Auto Parts Portland Historic Races has announced International Motorsports Association (IMSA) Grand Touring Prototype (GTP) cars as its feature for 2009. The sleek, aerodynamic race cars will be part of a celebration of 40 years of IMSA. 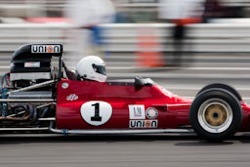 As IMSA’s initial series in 1969 was Formula Vee and Formula Ford, the Portland Historic Races will also be inviting Formula Fords from around the country to participate. Local race car champion Parker Johnstone of Wilsonville, who drives a 1988 Spice/Acura GTP/L, has been tapped as the race’s Grand Marshal. 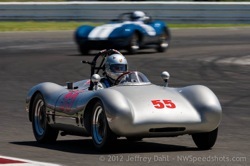 The 33rd annual Portland Historic Races will take place July 10 through 12, 2009, at Portland International Raceway. 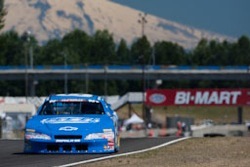 Bob Pengraph’s gallery of the NASCAR Camping World West at Portland International Raceway on Jul 19, 2009. Bob Pengraph’s gallery of the Historic NASCAR Races at Portland International Raceway on Jul 19, 2009. Jeffrey Dahl’s gallery of the 2009 NASCAR Camping World West Series at Portland International Raceway. 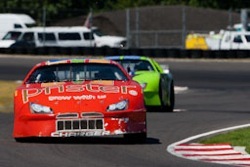 Jeffrey Dahl’s gallery of the 2009 GASS Season Finale at Portland International Raceway. 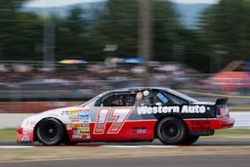 Jeffrey Dahl’s gallery of the 2009 Historic Nascar Races at Portland International Raceway.